Embroidery digitizing, is the art of using a computer to convert artwork into data that is recognizable by an embroidery machine so the machine knows how to stitch out the design. One click on the computer does not automatically convert the design. The artist redraws the design in such a way that the embroidery machine knows what to do; from the size of the design, to underlays, type of stitch, color changes, and the order in which this all takes place. Very similar to an architectural blueprint that tells the builder what to do. 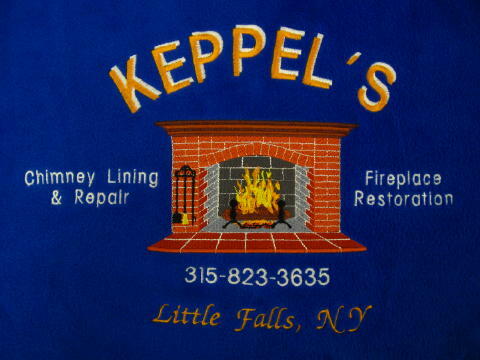 Not all embroidery digitizing is created equal. It takes years of experience to do quality digitizing. Anybody can redraw a design, but will it look good, or stitch well on the item you want embroidered? Our embroidery digitizing team consists of the some of the world's most talented artists with over 100 years of combined experience in machine embroidery digitizing. However, we do not offer the lowest price, quickest turn around time or volume discounts. Many factors determine the cost of embroidery digitizing, not just stitch count. Complexity is the biggest factor. A large circle that is all fill makes the stitch count very high, but the design is simple. A large circle that has a complex design inside, but is not completely filled has a lower stitch count, but is much more time consuming to digitize. Not all designs or logos are embroidery friendly because, more often than not, they were originally designed for print. With print, letters can be much smaller and colors can be incorporated into each other more fluidly than with embroidery. Therefore, sometimes modifications must be made to the size and /or layout of lettering, logo, or design to achieve the best results (with your approval of course). Here is an example of a logo that was not going to be easy to digitize so, our art department created a similar logo that is much more embroidery friendly. Sometimes, the smallest text in a design or logo will dictate the size that it can be embroidered. The smallest text we can embroider with any legibility is about .25" in height. Depending on the size, some designs, images or logos with intricate detail will need to be reduced in complexity to attain high quality embroidery as the end result. If you don't have a logo we can design one for you that is created specifically for the purpose of embroidery so, you can be assured your logo is embroidery friendly. For more details about logo design, please call 315 733 1992 to discuss. Search engine results pages are full of embroidery digitizing companies that offer "Cheap Digitizing", "Cheap Embroidery Digitizing" or "Free Embroidery Digitizing". If your only concern is "how much per thousand stitches? ",...contact them, don't bother us. ● Special instructions or comments. 2. We will give you a free quote for the digitizing one-time set-up fee. 1. Reply to the estimate confirming that all the information is correct and that you want to proceed. 2. Provide your credit card information. 3. Embroidery digitizing fees are non-refundable. 4. 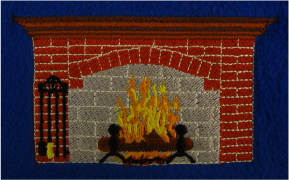 When your logo is completed, we will email you a scan of the embroidered logo along with the digitized file. 5. If you change your artwork after the design has been digitized, there will be fee. We will keep your digitized logo on file for future use. If you choose to have another company digitize or embroider for you, we will email you the DST file for them to use. We believe that since you have paid to have the design or logo digitized, you own it. Not all embroidery companies feel the same way and will charge you again to send the file or won’t send it at all. Please understand that the DST format is an embroidery file and you will not be able to open it, only someone with the proper program will be able to.